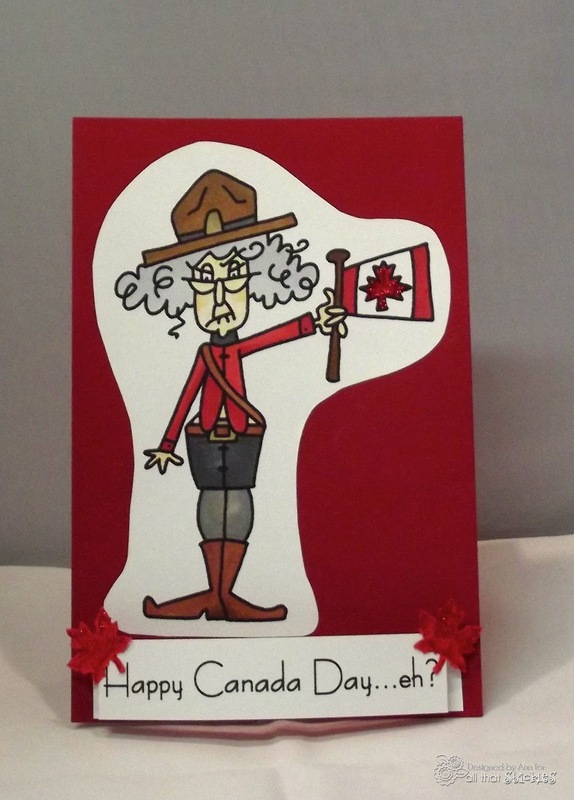 Annmakes®: Happy 146th Birthday, CANADA! Digital image from Bugaboo Designs. Copic markers. Christmas Red Stickles. Creative Memories Maple Leaf punch. Staples white card stock. Dollarama red card stock.